So I am coming back after almost a month to finish the rest of my long post. I am such a hopeless blogger I think at times. But in the last few days, I have been a little busy with work, home, movie and visits from some unwanted tracking cookies that have been slowing down my laptop. I still need to figure out how to remove these stuffs permanently. Anyways coming back to HR, here’s the list of the rest of the top five HR movies I love. 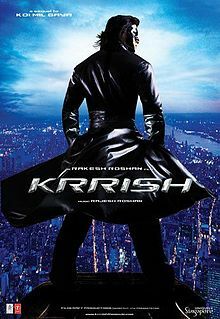 After the successful Koi Mil Gaya… the father son duo came back for yet another hit movie Krrish – the sequel to KMG. As Krrish, HR became the first Indian Super Hero (at least in films, unless you are considering Shaktiman, Aryaman etc in this list). We also saw one more Super Hero very recently… but let’s not discuss ‘Random Access version One’ over here and remember the ghastly story. [Yes I saw it and I know how grisly that it]. I was in my second year graduation when we ran to catch this movie at some stand alone theatre, somehow fighting for some good seats. I loved him both as the earthy Krishna and the suave Krish (I meant looks – I even liked him in Kites [again I’m referring to looks and not the movie]). We cheered for all the dance steps and actions and criticized Priyanka even more for dancing so horribly in the song Dil Na Diya. We all felt you should practice like hell if you are sharing the screen with HR for any dance sequence. I can guarantee it is not only me but all others went gaga about HR after Dhoom2. He looked, danced, walked and robbed with a magic, the ‘HR charm’. Definitely my 2nd best HR movie if I start ranking. I remember we bunked classes to catch this movie, [those were the days, how I wish we could bunk work and go for movies!] I don’t know if this happens everywhere across India but in Kolkata people throw money (coins/notes) with the entry of the star and every hit song. And I was also one of them that day. I also have the DVDs and I have lost count how many times I have seen it! I was doing my post grads in Bangalore when the buzz about the movie appeared. Many (like most of the skeptics) wrote off the movie even before it’s promos telling another period drama, and it will also fail like Mangal Pandey! 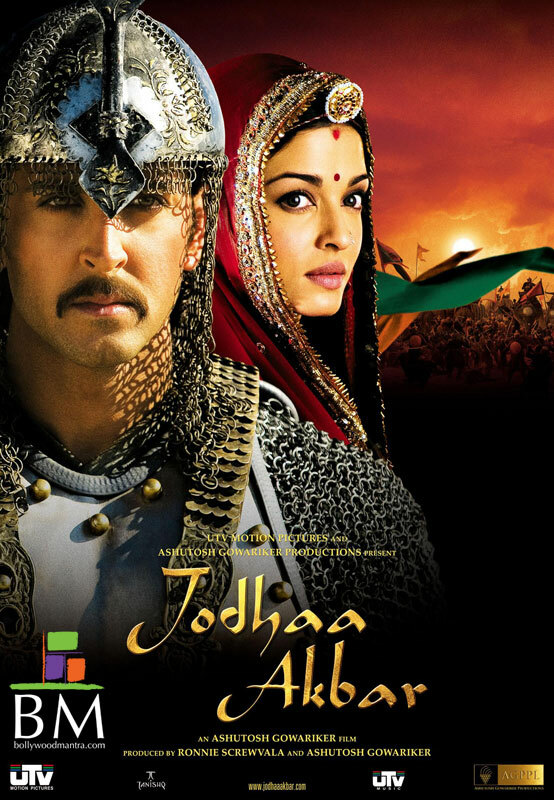 For God’s Sake how can someone compare Jodha Akbar with Mangal Pandey??? People even criticized when the songs were released stating they were too slow… what do you expect Akbar will go disco dancing or will be doing Hip Hop with a sword as his prop? Here in Bangalore we had to maintain a very high percentage in attendance, [how cruel that used to be] but bunking classes had its own charms. Thankfully Forum was much closer to the college and we went hi tech by that time, with laptop, wifi, datacard (since half of the things would be blocked) and a card!! So obviously we ran for the show after some lectures to catch the low priced morning show so that we can be back by afternoon to catch the other lectures. See what all movie buffs do. We couldn’t even wait for the Sunday! I haven’t seen this movie in a theater, and I regret that. You read a review and you get de motivated to watch a movie. 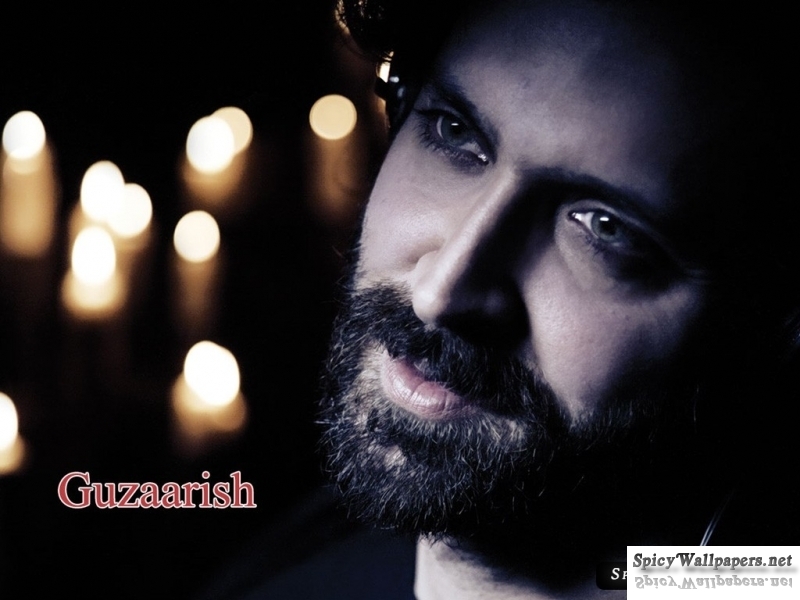 And I didn’t get any companion for Guzaarish. Sometimes people need to realize every movie needn’t be the ‘commercial masla’ movie and film making is an art. I liked the plight of the paraplegic Ethan Mascarenhas, his helplessness, and spirit to live and above all classic acting by HR and also ARB her name in too long now with the added second surname! Whoever compared this movie with Hugh Jackman’s Prestige should first see the movie and then think about comparing. Now if I had finished this post on time then the next movie would have been Zindagi na Milegi dobara… but now that I have seen the first day first show of Agneepath (2012) I can’t possibly have any other movie here. It was a great experience in watching the metamorphosis of Vijay Dinanath Chauhan in a whole new way. 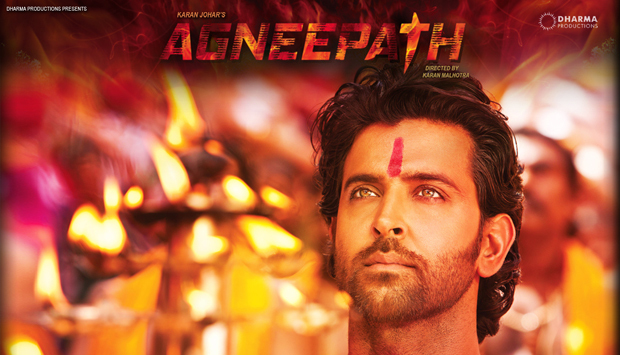 Please don’t try to compare this with the original Agneepath because apart from the plot nothing is similar. A movie review is also coming on its way. 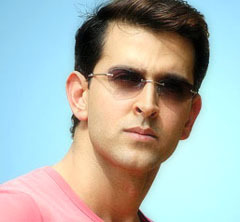 Over the last decade HR has simply evolved from a good looking handsome actor to a coveted star whom you can rely on. Hats off to you Duggu for your achievements and wish you the very best for your life , may you bring more happiness to everyone.